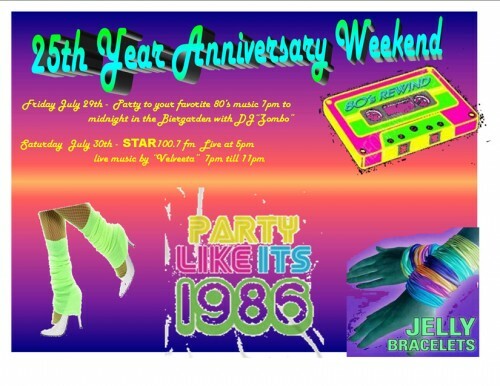 Penn Brewery is celebrating their 25th birthday with an 80’s bash. Bring back your big hair and rewind your wardrobe to celebrate with Penn Brewery. Here is a fun fact about the place from the Penn Brewery Wikipedia page – the brew pub opened in 1989 and Sophie Masloff tapped the first keg.